CHISINAU, February 2. /TASS/. 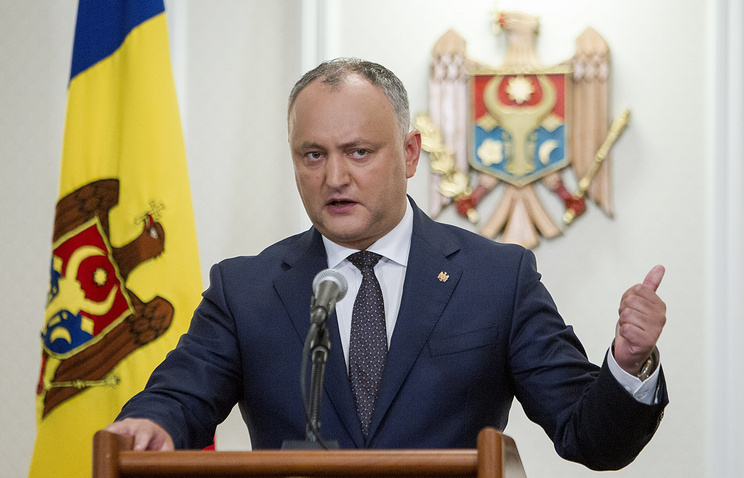 Active steps by supporters of unification with Romania may trigger a civil war in the republic, Moldovan President Igor Dodon said in his interview with NTV Moldova TV channel published on his Facebook page on Friday. "I want this to be clear - unification [with Romania] amounts to civil war. I’m not afraid of saying this. 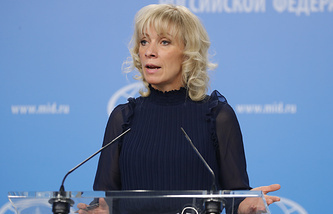 We won’t allow anyone to wipe out Moldova as a state and we will use all legal means for this, and if you act illegally you’ll get what’s coming to you," the president cautioned. The Moldovan leader noted that the situation of 1918 when Moldova’s MPs "were forced into voting for unification by Romania’s soldiers won’t happen again." The president recalled that Moldova had endured its biggest challenge in its modern history after the upsurge in nationalism and ideas of unification with Romania, when representatives of other ethnic groups were expelled from the country. According to Dodon, this sparked tensions in Gagauzia, which declared itself as an autonomous region, and also an armed conflict in Transnistria in 1992, which has not been resolved yet. Earlier this week, Dodon voiced concerns over active steps by supporters of unification with Romania, who started collecting signatures among lawmakers of city and rural councils. He also noted that this was a direct call for finishing off Moldova and also accused the government and parliament, which are in opposition to the president, of inaction. Tensions in the country may be stirred up artificially, Dodon stressed. "Maybe those who are in power today - the Democrats and other parties - will benefit from this scenario? Because they know that they will lose the [parliamentary] elections this fall and want to destabilize the situation. We should be very careful about this issue," the president emphasized. Politicians in Romania, where almost 68% of citizens support this idea, have repeatedly trumpeted for unification. The government of Moldova, where the initiative of unifying with Romania is backed by just 21% of the public, prefers to remain silent and does not respond to these calls emanating from Bucharest and Chisinau. 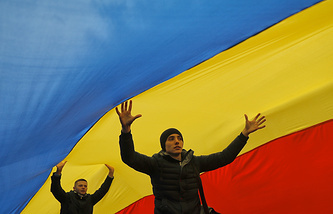 This year the "unionists" (what Moldovans call supporters of unification with Romania) plan to carry out a number of events to mark the 100th anniversary of the 1918 events, when Romania sent its troops to occupy the territory of what is present-day Moldova and Sfatul Tarii, a council created in Chisinau, voted for unification with the neighboring country. In June 1940, following an ultimatum, Romania handed over the territory to the Soviet Union, which did not recognize its annexation. Bucharest says the territory of present-day Moldova illegally joined the Soviet Union after the 1939 Molotov-Ribbentrop Pact had been signed, and that’s why it has not ratified a political treaty with Moldova.